The Michigan Raptor 900 2-in-1 Portable Wood Chipper/Shredder features an innovative self-feeding upright design and is ideal for large property owners, keen gardeners or commercial landscapers. 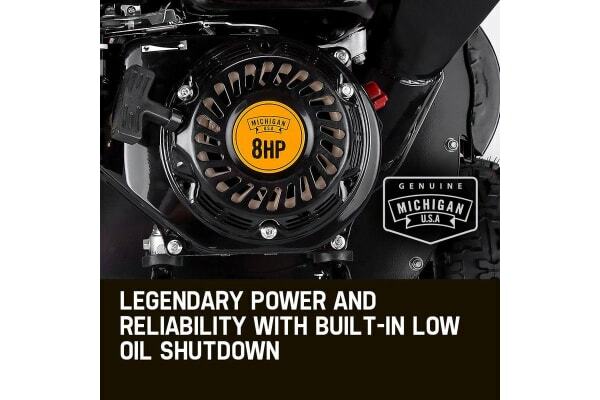 The 208cc OHV engine is delivers the massive eight horsepower of chipping power via a patented DirectDrive design. This means maximum efficiency with minimal stress on components, and does away with the need for belt replacement! A unique offset arrangement of quadruple heavy-duty hardened steel blades and dual hammers churn out valuable mulch with ease. The Raptor comes with a durable collection bag that allows for easy disposal, or transportation of mulch. The Raptor 900 Wood Chipper boasts world-class heavy-gauge steel construction that ensures excellent durability and portability. 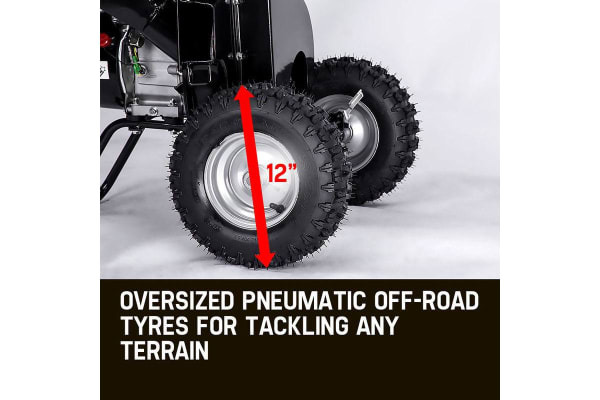 Oversized all-terrain 12 inch pneumatic wheels provide easy mobility and dual foot brakes lock it into position. It’s shipped in a tough reinforced crate and minimal assembly is required – you’ll be making fast work of large or small yard debris in no time! It’s one powerfully efficient shredding machine. 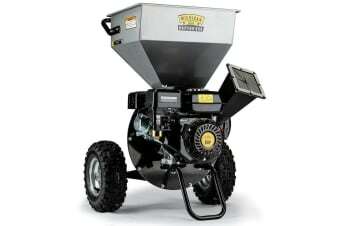 Chute capacity (top hopper): 0.35-inch shredding capacity in big hopper for small branches.